The rumors that MCT was about to launch a new model at Basel World made me quite nervous, since I have been huge admirer of the brand and love their first model, the Sequential ONE. MCT is one of the smaller independents that have released, as of now one model and a variation, the Sequential ONE S110, a slightly more modern version of the original model. 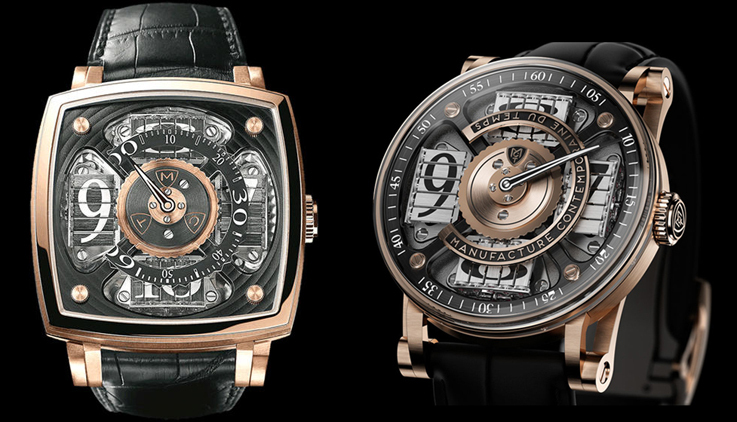 To refresh your memory see the picture below for the Sequential one that was launched in 2010 next to the new Sequential Two – S200 model, that will be presented at Basel World later this month. The stunning square case is replaced by an elegant and easier to wear round 44.6 mm case that holds the MCT’s concept of the rotating blinds, like if it was originally designed that way. To be honest, I could not imagine that the MCT’s amazing system of reading the time, that worked so well in the square case, of the Sequential ONE, to be improved so dramatically in a round case. 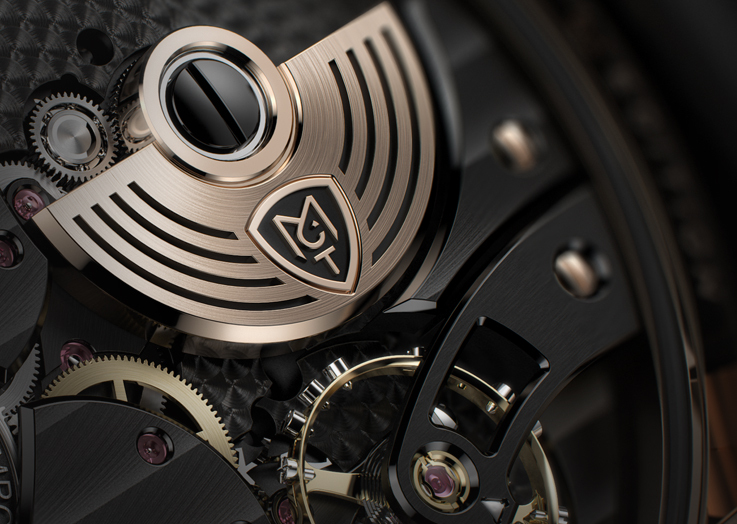 Visually the designers have created some very attractive details, like the MCT emblem, that’s now a little logo, surrounded by a large ring containing the name “Manufacture Contemporaine Du Temps”. 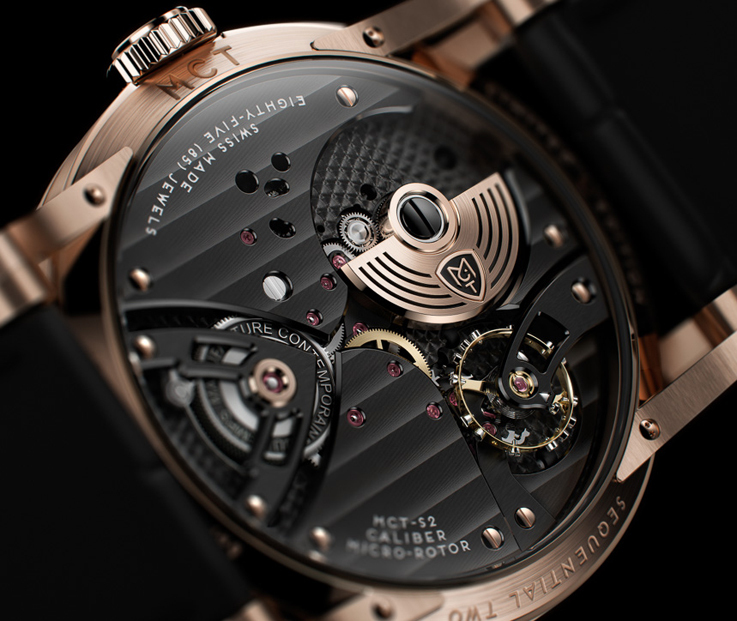 As well, the minute tracking has moved from the centre of the case to the outside of the dial. The “Manufacture Contemporaine Du Temps” ring is actually a C shaped arc that rotates sequentially 90° anticlockwise, to highlight the new hour. The cool large serif typeface of the first model comes back in the Sequential TWO as does the sapphire case ring that goes around the movement and splits the case in half, to let light inside, illuminating the moving parts of the prism hour display, or rotating blinds as I like to say. 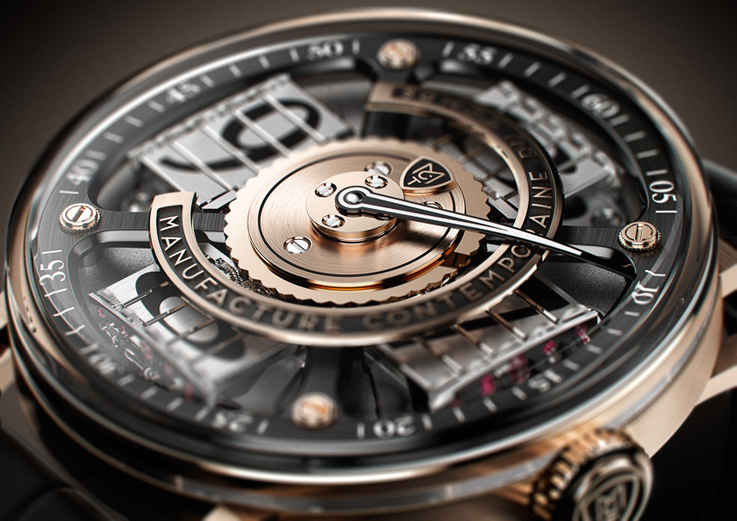 Like any jumping hour watch, the construction of this jumping hour timepiece with its, opening & closing blinds every hour, consumes more energy than a conventional watch. 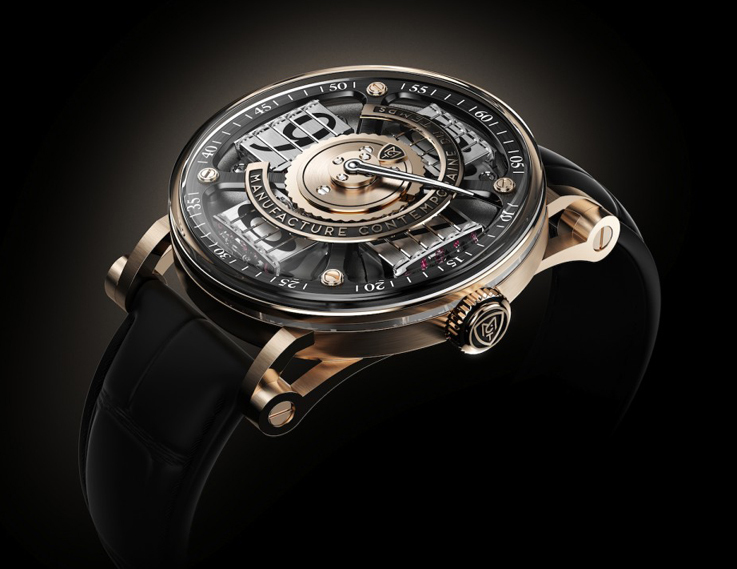 Therefore, MCT developed a new caliber with an 18K gold micro-rotor, in-house coming with an automatic-winding movement with a power reserve of 40 hours. 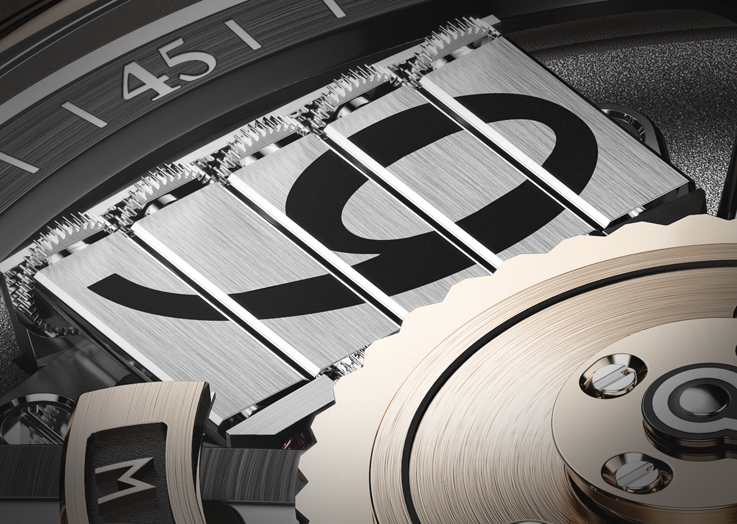 The new caliber benefits from the latest advances in teeth profiles on the gears. The high efficiency gears mean less energy wasted in friction losses, higher and more consistent power to the regulator for higher precision and a longer power reserve, while the lower mass of the micro-rotor requires less force than a traditional full-size rotor. This is a very exiting new model for MCT and I can’t wait to see it in the flesh. Since the new round case will appeal to a larger group of collectors with it being easier to wear also on a smaller wrist, I am sure that the Sequential Two S200, will be one of the most discussed watches at Basel World. Last year, MCT realized a comprehensive verticalization strategy and now controls all essential stages of their production process, including movement design through to final assembly. This is really good and important news even for existing MCT Sequential ONE owners, since they can be assured that the servicing of their watches will be done in house. 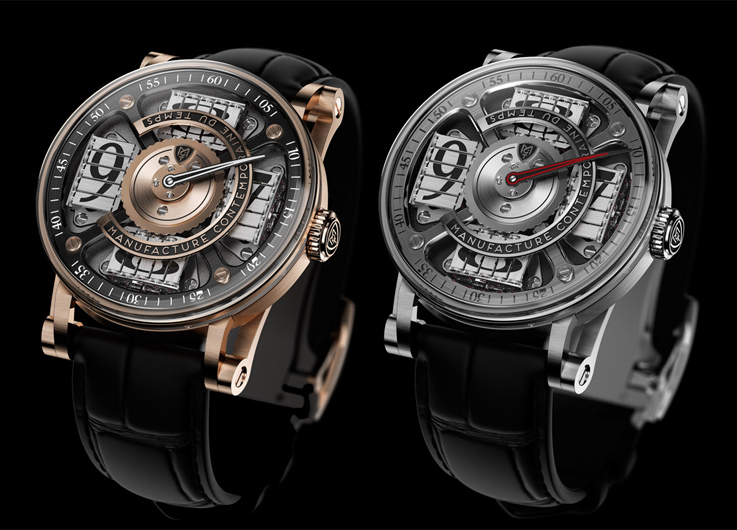 The Sequential TWO S200 will be available, in pink or white gold later this year.